Ever pictured yourself on the other side of the turntables, with a crowd dancing to your tunes? You can now learn to do just that, thanks to Sound Lab, an initiative by Vivanta by Taj and pros, The DJ Dispensary. a�?Wea��ve been doing retreats across the globe for the past 18 months now,a�? 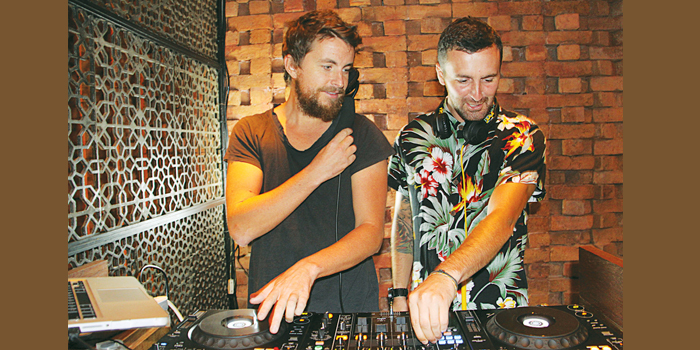 begins Matty Wainwright, Liverpool-based DJ and founder of the Dispensary, who used to play at Taj, Mumbai, back in 2007. a�?The idea is simple. The participants get to learn from us, over three consecutive days. On the last day, they do a live performance in front of an audience or other DJs,a�? he shares, explaining that guests will first be taken through the basics (such as the functions of the mixer and CD players) before they are introduced to the concepts of mixing, queuing, looping and so on. Given that you can learn any of this at a DJ school, we wonder how the experience at Sound Lab will be unique (besides the classroom being in the Taj Connemara). a�?With us, you get three (or five) continuous days of learning, as opposed to a schedule with breaks in it. And our tutors have a minimum of 15 years of experience across the globe. You also get to take home a live recording of your mix and images of your time at the retreat,a�? Wainwright clarifies, pointing out that one of the biggest challenges of teaching is helping people get over their preconceived notions about music. a�?The hard part is getting people to open up to music and learn to read the crowd. You need to observe how many people are sitting, standing, dancing, looking disinterested, and so on,a�? he says, concluding with his golden rule a�� a�?always remember that the DJ is the least important person in the club.a�?